In wartime Melbourne loose lips sink ships, so when Australian Women’s Army sergeant Stella Aldridge overhears soldiers whispering about a revenge killing, she follows her instincts to investigate, despite finding herself drawn to one of the soldiers, the enigmatic Staff Sergeant Eric Lund. But the world is at war and there is little time for romance. Someone in the Australian Intelligence Bureau is trading secrets and it’s up to Stella and her uncompromising superior officer, Lieutenant Nick Ross, to find the traitor. When Eric’s team is scheduled to be deployed in a dangerous mission to the South West Pacific, Stella races to uncover the truth or risk not only Eric’s life, but the security of Australia itself. Torn between protecting the ones she loves and her duty to her country, Stella chooses to pursue the truth at all costs. I so much enjoyed A Time of Secrets. 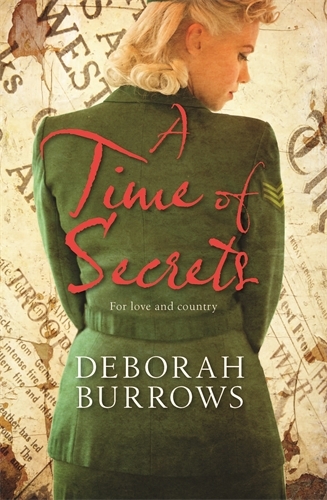 Not only is the plot so engaging – love story, murder mystery and spy thriller – but the extraordinary pictures that the author Deborah Burrows paints of life in Australia’s secret services in Melbourne during the latter stages of the Second World War are just a delight. Burrows is a lawyer and historian, and the veracity of the details about the life of Australian service men and women and our engagement with the large numbers of American servicemen brings the reader right into the pressures and experiences of that time. The dialogue of the characters is probably the best I have read in conveying life at that time – the colloquialisms, aphorisms etc are at every interchange appropriate without seeming forced at all. The heroine Stella Aldridge has grown up in Malaysia, spent time in Europe, and schooled in Britain, so her comments about the Australian way of life bring an authenticity to her character and also just bring to life the values and attitudes of that period. “Loose lips sink ships” is well known, but her addition of a secondary warning “Be like Dad and keep Mum” I had not hear before (page 210). Whilst romance and personal intrigues abound, the realities of threats to Australian missions in the South West Pacific, and the dangers of spies and subterfuge costing Australian lives means that A Time of Secrets is far more than a Mills and Boon classic. The reader feels the urgencies and the contradictions of wartime as Stella tries to uncover the truth amid personal physical assaults and even murders. Anyone unaware of the hostilities between the cashed-up American servicemen and the Australian servicemen and citizens, through reading this novel is able to understand people’s feelings at that time. These accounts are culturally and historically accurate. I recommend the novel particularly for young readers and for those who have come to Australia in the past 40 years when these experiences have ceased to be public knowledges. This novel is more than a mystery romance. It is a wonderfully colourful insight into Australia in the forties and deserves a very wide audience.